M was conceived specifically for the CSArt 2016/17 Season. CSArt Ottawa is an organization that curates and sells subscriptions to a season of art events that include musical performances, theatre, visual art, writing, spoken word and more. This format provides the artist with the opportunity to conceive and create a work of art for an engaged community of patrons. 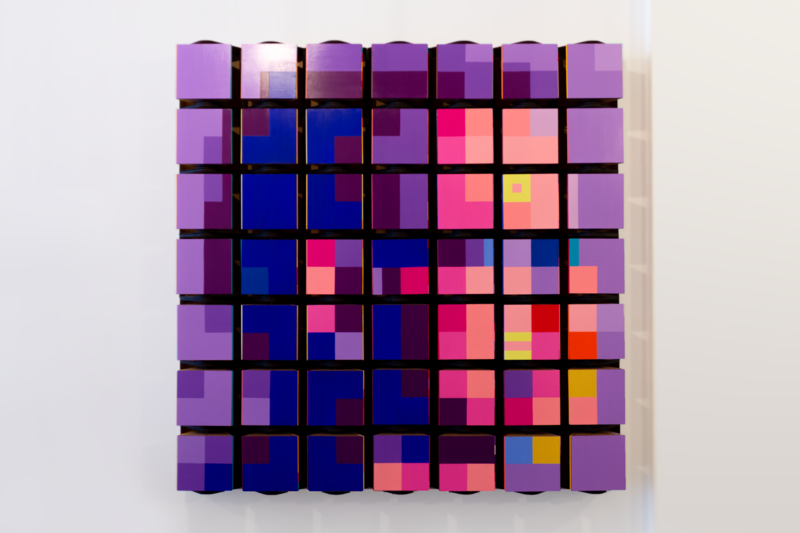 M is a portrait painting installation that you want to touch and engage with. 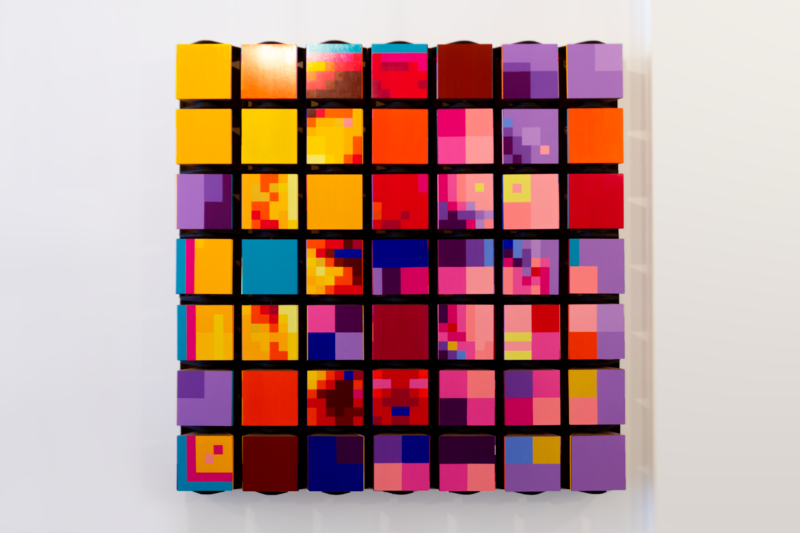 It provides a shared experience where by the viewers can manipulate the “pixels” and create countless permutations of the art. It is ever changing but it is also temporal and only exits for the duration of the exhibition. 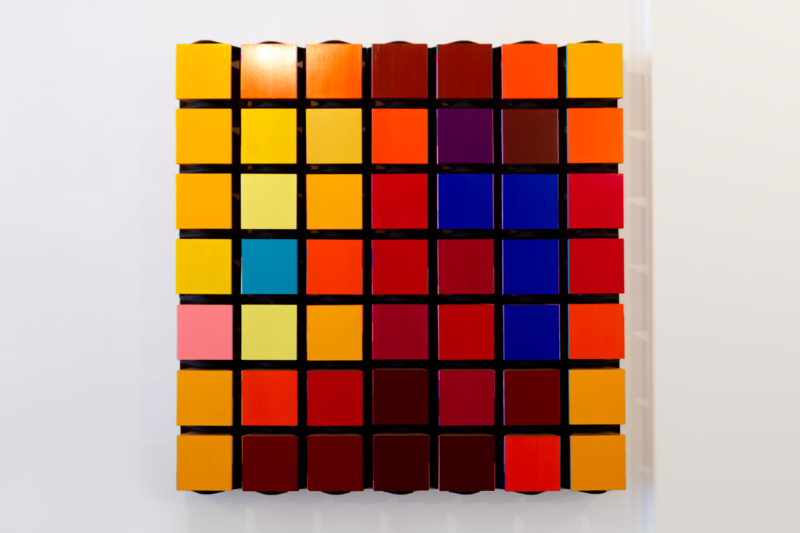 Afterwards it is disassembled into it’s 49 pieces (pixels) and distributed to the CSArt subscribers and other patrons. Picture it, a piece of art you can touch and manipulate to create countless abstractions or seek out the structure in the chaos. 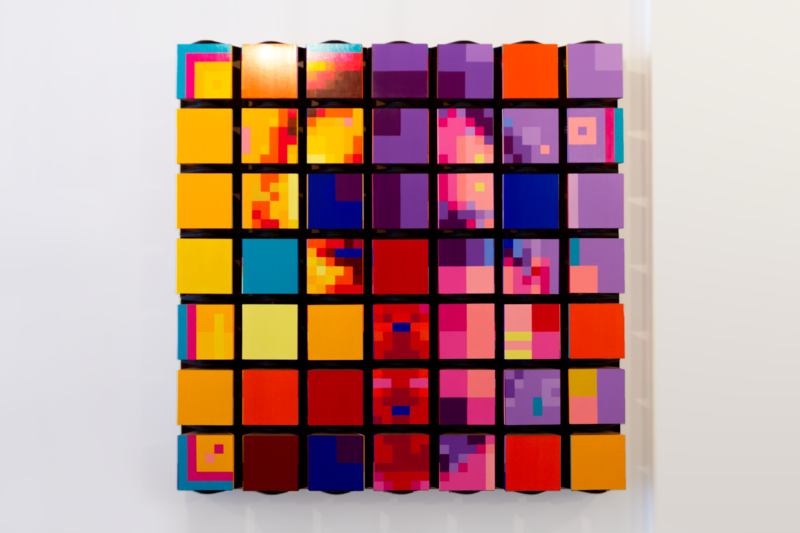 Each pixel box is independent and has three sides that can be rotated. 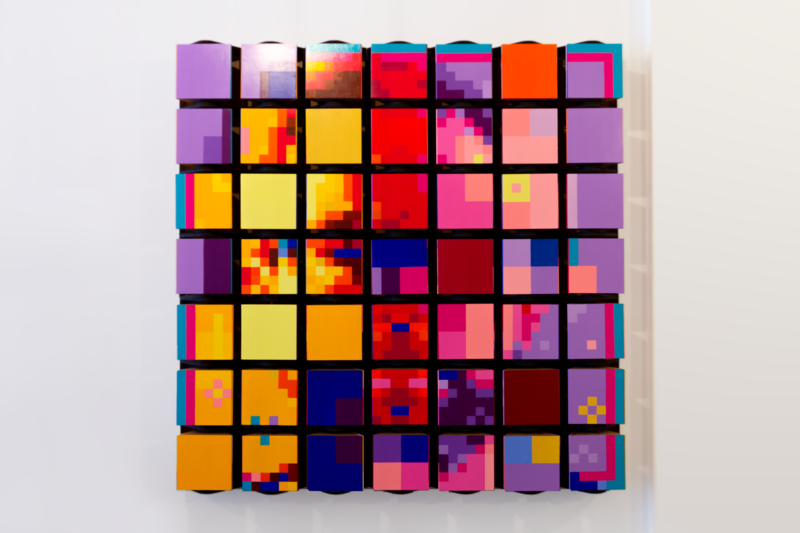 Mounted together in a 7 by 7 grid they create three self portraits in different resolutions and countless unique combinations. When the boxes are removed from the grid each becomes it's own independent artwork and a memory of the shared experiences. 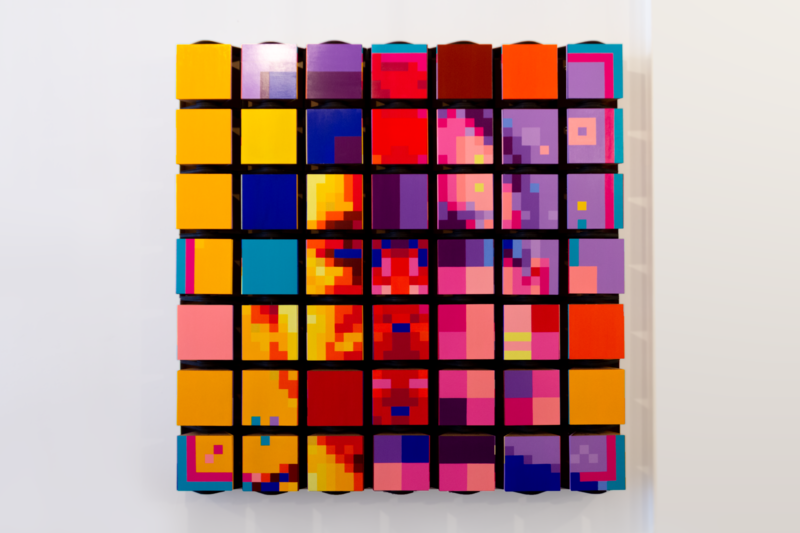 To encourage exploration each of the three portraits has a unique resolution and the colour scheme designed to allow the portraits to mix together. Some people look to discover the three portraits and others are more interested in disruption. This is a completely new work for me that mixes together things I love; making, interactivity and portraits. My inner maker/inventor was inspired through designing, testing and refining the pixel boxes (All the Pixel Boxes we're laser cut at the Ottawa Library maker space, Imagine Space). 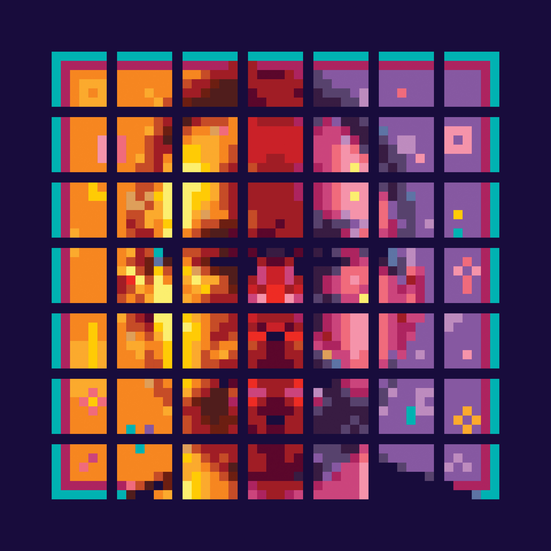 As I like to play with interactive works and portraits this provided me a great opportunity to combine those in an installation, I call it M and at it's core it's a self portrait.